Atletico Madrid was founded on 26 April 1903. as the Athletic Club de Madrid by three Basque students living in Madrid. In 1928, the team was invited to join the Primera Division. 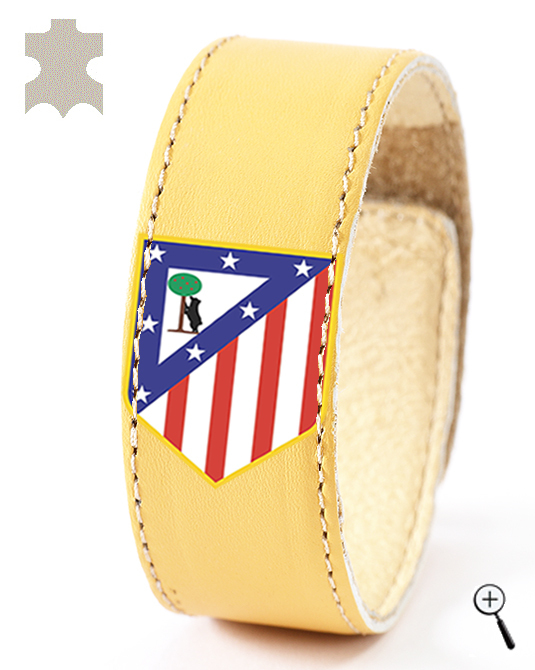 After 2 seasons Atletico Madrid relegated to the Second Division. 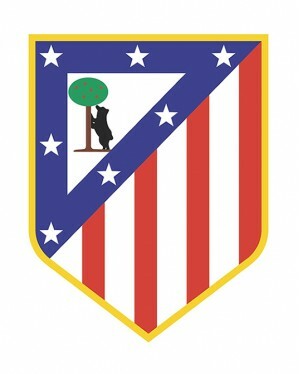 In season 1939/40 Atletico Madrid returned to the first division. During this season, the team won their first title in the championship of Spain. Six years later, Atletico Madrid beat Real Madrid with 5-0, which is their biggest victory over city rivals up to now. In 1973 Atletico Madrid sign contract with the Argentine coach Juan Carlos Lorenzo. Under his leadership, the team won the Primiera Division and reached the final of the European Cup in season 1973/74 where it loss by Bayern Munich. After this loss as coach of the club arrives Luis Aragones, with whom Atletico Madrid won the Copa del Rey in 1976 and Primiera Division in 1977. Under the guidance of Aragones the team won the Copa del Rey and the Spanish Super Cup in 1985. In 1987 president of the club became Jesus Gil. The new president gained the reputation of an uncompromising leader - he hired and fired many coaches to achieve the objectives of the team who has not won a title in Spain more than 10 years. During the 1995/96 season under the leadership of Radomir Antic - cherished dream has finally achieved the team won the double - Primiera Division and the Copa del Rey. During the 2009/10 season Atletico Madrid reach first Cup after 15 years of interruption. Atletico Madrid is the first team to lift the Cup of League Europa, beating the English Fulham after extra time. 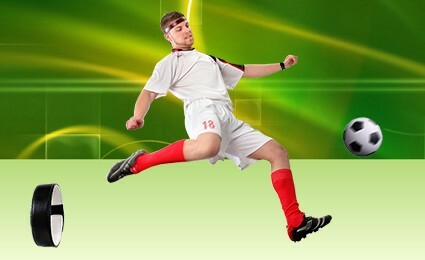 The home kit of Atletico Madrid, is red shirt on white stripes, blue shorts and red socks. The away kit of Atletico Madrid is a yellow shirt, black shorts and yellow socks. 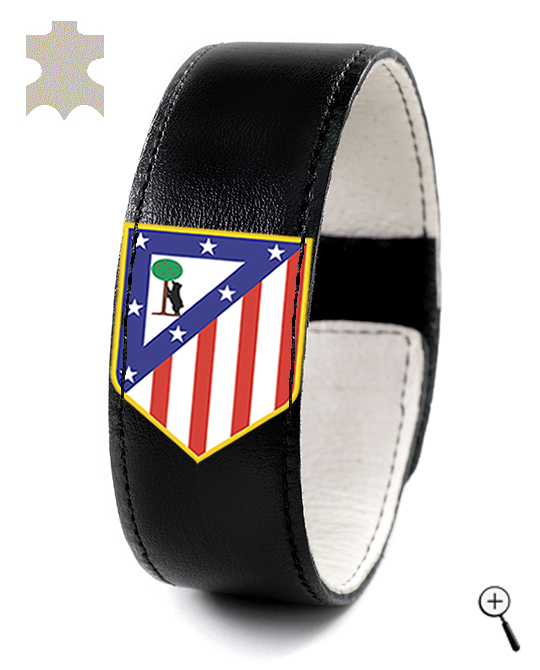 BeMAGnetic design magnetic leather accessories for fans of Atletico Madrid that improve health and make people more energetic and more successful without doping. 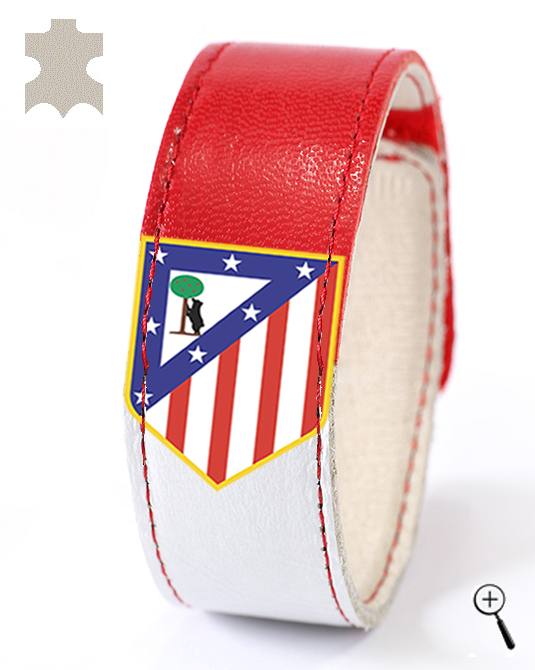 The magnetic leather accessories are made with the emblem and colors of the three kits of Atletico Madrid for the year 2013.